Our incredible 2012 Thanksgiving Celebration was certainly an interesting one. After the chaos of Hurricane Sandy, I proposed that Heather and I combine our extended families for one massive gathering. Inspired by a communal viewing of the TV show Wipeout, I asked my sister-in-law Sue, the most "coach" like person I could think of (we all know one), to put together a Thanksgiving obstacle course so we would all have a chance to get some fresh air before the big meal. Sue created a course that was accessible to all age and ability levels, which wound up being one of the most important parts, because it guaranteed that everybody got their time to shine! Another key component? Sue made sure to use things were already had around the house whenever she could. Keep in mind — we weren't exactly going crazy; this was something we set up right in the front yard! Sue wanted to give everyone the opportunity to go through the obstacle course in their own creative way, so each of the kids got to pick their own nicknames, based on their favorite songs. These creative names went up on the scoreboard so we could all shout them in a raucous show of support whenever someone finished the course. Another highlight? The silly-string finish line. It's exactly what it sounds like! All the parents gathered at the end of the course to douse the kids in silly-string as they finished, cheering and shouting support as they did so. What started as a reality show-inspired lark wound up being one of the most energizing (and colorful!) aspects of our Thanksgiving celebration! The best obstacle course is as easy to put together as it is to navigate. Remember: this is for everyone! There's no need to go too crazy, and you want to make sure everyone can join regardless of age. These are a few of my favorite obstacles that Sue has created over the years. Recently, my family became a part of the Cherokee nation, and we've found creative ways to integrate our heritage into our celebratory traditions. One way came in the form of the "Warrior Brave" part of our obstacle course. The idea is simple enough: see how far your little ones can run while they let out their fiercest war whoop! This gives the kids a chance to get their energy flowing at the beginning of the course, and express themselves in their own creative way! Easily one of the most entertaining stops on our Thanksgiving obstacle course, Donut Fishing involves a volunteer from the crowd. The participant has to keep their hands behind their back or in their pockets (you can use a blindfold for the older kids) and successfully eat a powdered donut as it's dangled from an improvised fishing line. Think of it like a piñata, but with a few steps removed. 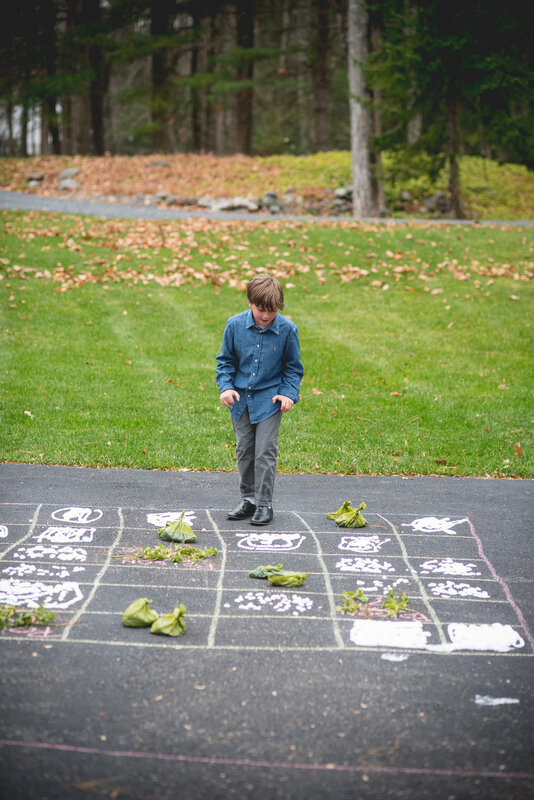 This is a fun twist on an old classic: set up a hopscotch court (it can be as simple or elaborate as you want), but make sure a few of the squares have "hot potatoes" in them that must be avoided at all costs. For an added challenge, you can have someone set the "hot potatoes" in squares while the participant is making their way through the court—a little bit of unpredictability goes a long way! We used dog-doo bags with sand in them, but the classic whipped cream pie makes a great "hot potato," too. You'll just want to make sure you use something that won't stain your driveway or lawn (looking at you, shaving cream). For a fun little lawn bowling + croquet combination, set up little goal posts and find something that can be used as makeshift mallets and balls if you don't have a croquet set handy. The idea, simply enough, is to knock the balls through the goalposts, but for an entertaining extra layer, have the participants get dizzy beforehand. The classic "forehead on a baseball bat" technique should be enough to make this one of the more silly stops on your holiday obstacle course. Marshmallows, we've discovered, have a nearly endless potential for entertainment if they're used creatively enough. All you really need for this obstacle is a bag of marshmallows. It can even be a one-person stop, depending on how challenging you make it. 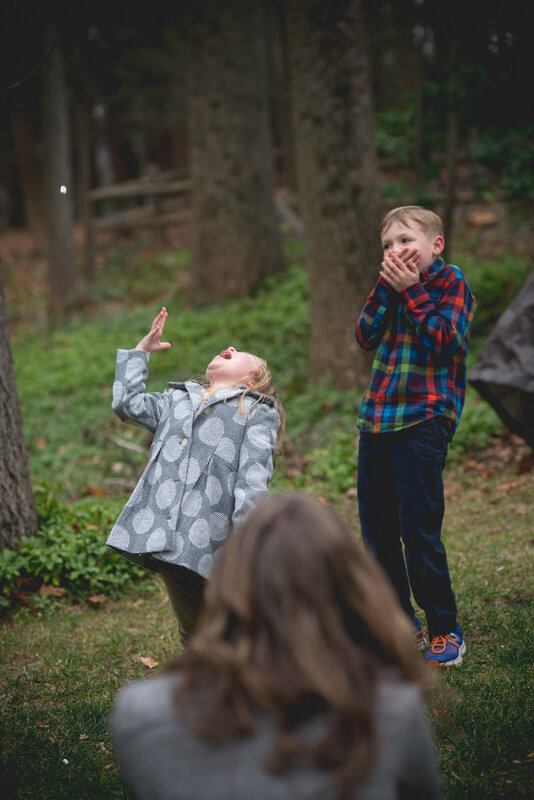 Either way, a tossed marshmallow must be caught in the participant's mouth. You can certainly spice things up by having a second person do the throwing, but either way this obstacle is always as fun to watch as it is tasty! A little grass stain never hurt anybody! Using something simple, like masking tape or streamers, you can set up a little army crawl course that the little ones have to commando their way through before making it to the next obstacle. Take it from us — a little bit of silly string makes a big difference when it comes to the commando crawl. Test your musical knowledge with a "Name That Tune" challenge as one of your obstacles! There are a few fun ways to do this — putting a pre-selected "chorus" in charge of singing the songs until they're correctly guessed is a great way to get a few more people involved in the fun. 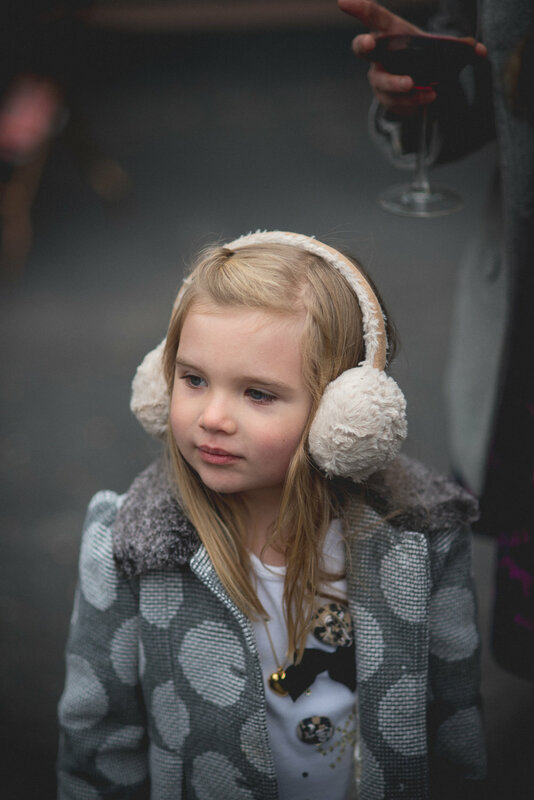 Just remember pick a handful of easy-to-remember songs before hand so you're not trying to make the little ones guess your favorite Steely Dan tracks. This station is a true text of dexterity! Set up two plates: one with a little heap of cooked rice, one without. The challenge is to move the rice from one plate to the other before you can move to the next obstacle, using nothing but a pair of chopsticks! This one might be a bit of a challenge for the younger kids, so we like it as a way to make sure everyone has something fun to do! 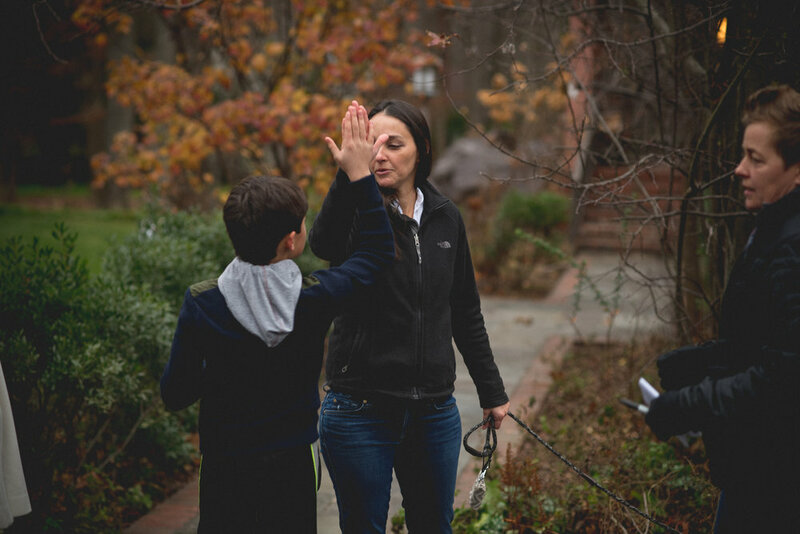 In the end, getting out of the box and coming up with new ways to move our bodies before our massive Thanksgiving feast wound up being as much fun put together as it was for the little ones to experience. 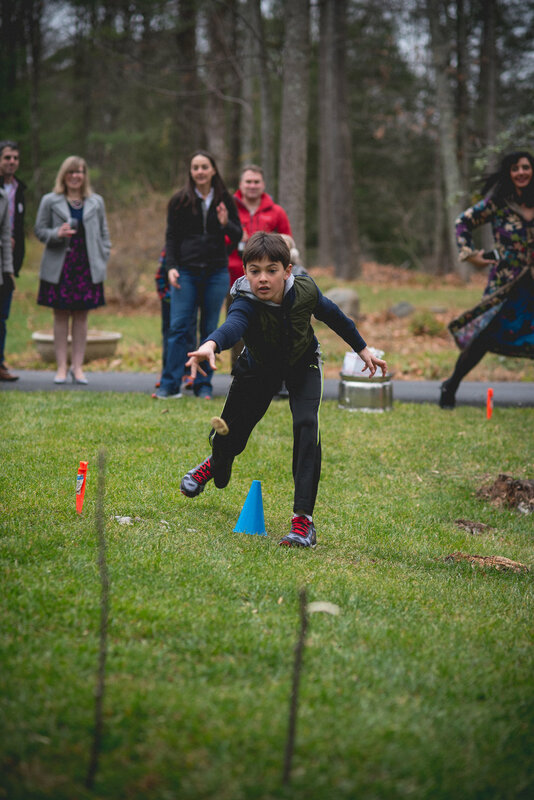 Not only did we all bond as we supported and cheered our kids making their way through the obstacle course, but we all worked up an appetite before sitting down around our communal table.